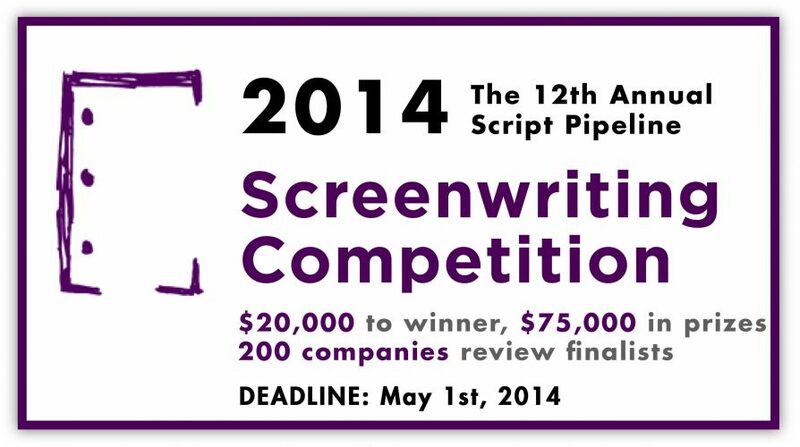 Screenwriters, this opportunity is for you! 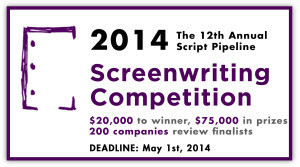 The 12th Annual 2014 Script Pipeline Screenwriting Contest deadline is approaching soon! Known for discovering up-and-coming creative talent and connecting them with top producers, agencies, and managers across both studio and independent markets, the Script Pipeline Screenwriting contest can help you find representation and/or access to those oftentimes impossible-to-reach industry execs. Our intent: not only circulate upper-echelon material to the proper channels, but help launch the careers of our writers.